If you listen to the ARRL, the National VEC, or No Code International, we haven't "dumbed down" the Amateur Radio licensing process here in the United States at all. No way, Jose! All they've done is make it easier for all those who were confounded by that nasty ol' Morse Code, to get their rightfully deserved Amateur Radio licenses. No Morse Code - just memorize a bunch of answers from a book - pay your test fee and you too can have a "genuine" FCC issued Amateur Radio license. No muss, no fuss, no sweat, no worry. Now all us curmudgeons, "Old Farts", and other malcontents who feel otherwise and have been brave enough to speak out on what we feel is the truth have been marginalized, ostracized, and have been made to feel like bigots and "kill joys". We just want an "Old Boys Club - we don't want to let in any "fresh blood". We're dinosaurs who don't realize that "the times they are a changin' ". We're supposed to be happy with what's happened to the standards over the years and we're supposed to "just get over it", go in the corner, shut up or just plain go away! The European Conference of Postal and Telecommunications Authorities (CEPT) has withdrawn automatic license reciprocity from U.S. hams holding General or Technician Class licenses. According to the Radio Society of Great Britain, the CEPT's Radio Regulatory Working Group compared U.S. licensing standards against those of other CEPT signatory nations and determined that "the recently revised standards for Technician and General no longer have any equivalent in the European community of Nations." Thus, according to RSGB, as of February 4, 2008, U.S. Generals and Technicians will have to formally apply for a reciprocal license before being permitted to operate in a CEPT country. Holders of Advanced and Extra Class licenses still have automatic reciprocity". Geez, Louise! Me thinks that someone else sees our licensing standards for what they are becoming - an embarrassment! God help us when the new pool of Extra Class exam questions are released this summer. Another country in the log. I decided to spend a few minutes on the bands this afternoon to hear what I could hear. 20 Meters was pretty dead and the higher bands were totally dead (at least here in NJ). All that being said, I did manage to work K2MV on ground wave; and I did work S52DX, Gusti in Slovenia, who had decent signals into NJ. After working Gusti, I decided to see if there was any buzz on 30 Meters. Much to my surprise, there was some activity near the bottom band edge. 6W1SJ was on and had a pretty good pile up going. I'm not "Mr. Prefix"; so a quick check with DX Atlas told me that the station in question was in Senegal. I listened for a bit and determined that he was listening about 1.5 KHz up. So I began calling. The op was good; and he was picking off a lot of European and a few North American stations. As time went by, propagation was working in my favor as the Sengali station was getting louder; but I still wasn't having much luck. Since I have never worked (or even heard) Senegal before, I was tempted to boost power to about 10 Watts; but decided to switch antennas instead. I flicked over to the HF9V and hit the "tune" button on the K2. Bingo! The Senegali station came up to about 589/599! Three attempts later I got a "W2LJ 599" report. I quickly sent a "TU 599 NJ" and QRP CW DX station #83 is now in the books! Whew! Five Watts leaving my antenna - crossing the vastness of the Atlantic Ocean, only to be captured and received by the aluminum or copper antenna in Africa. When you really sit and think about it, it is truly amazing! This is stuff that is magical to me ; and it's so sad that we take this all for granted without a second thought. I have communicated with a brother or sister Ham in Africa using about the same amount of power that the average night light uses. I guess I'm a sap; because I still get thrills from this kind of stuff. Both 80 and 40 Meters are vast wastelands tonight. The few signals I heard were like rolling tumbleweeds bouncing along the dreary, sun baked plains. The reason of course, is that this weekend is the SSB portion of the CQ WPX contest - so everyone is busy screaming into their microphones. THAT won't happen here at W2LJ - as I don't even own a microphone! So the big radio event for the day for me was checking the 5T5DC online log to find my callsign and the evidence of my QSO to Mauritania. I'm not enough of a DXer to have that "confidence". I KNOW I heard them correctly; and I KNOW they heard me correctly; but until I see that concrete evidence, I always have that little nagging voice in my head "They got my callsign right ..... of course they did!" "That was ME they came back to .... right? Sure it was!". Lack of swagger and confidence, I guess. But alas, I was relieved to see that W2LJ is indeed in the log; and now I can send in for a QSL card. While checking for my own call sign, I was happy to see that Bob W3BBO's callsign appears no less than 3 times! 80, 40 and 30 Meters QSOs are in the books for him - good show! But then what can you expect from someone who has made DXCC Honor Roll? I'm willing to bet he's feverishly listening for them on 20 Meters, trying to work them on his new SST rig with 1.5 Watts! And if I was able to work them with 5 Watts, I'd bet money that Bob could snag them with 1.5 Watts - he has better antennas than I do. But getting back to AC Log, now that I've got a bypass around that hesitation thing, I can see why it is considered to be one of the most flexible logging programs available. I can customize the content of 4 data fields, which I have done to allow me to record which antenna I was using for the QSO. I also set up the other fields to accept NAQCC, FISTS and SKCC membership numbers. Searching ANY field is a snap; and AC Log is one of the few ones that allows you to keep track your output power, as well as your start AND finish times of the QSO. And I discovered a neat little feature that is really super cool. Up at the top, where the "Help" drop down menu resides, you can click on "Frequency Privileges" which will instantly conjure up a chart that shows the frequency privileges for your license class. The one thing I wish was different has to do with QSOs where you record the QSL sent/received information. AC Log allows you to customize the color of the font in those rows. So in my case, if I come across a red data line, that denotes that I've received a QSL card; but have not sent one out yet. A blue data line indicates that I've sent out a QSL card (but have not received one) and a green data line indicates that we have successfully exchanged QSL cards. All that being said, AA Log (a different logging program) allows you to do basically the same thing; BUT it changes the entire background color of the data field boxes for that line (not just the font color). Now THAT really stands out and screams at you. And I've already proven to you how dense I can be; so that's a really neat feature I would like to see incorporated into AC Log. I have commented that there are so many logging programs out there and they all have so many features that it would be neat if you could cherry pick want you want to create the ultimate custom logging program. I guess the way to do that would be to write a program yourself from scratch. Unfortunately, I'm not smart enough to be able to do something like that. It was a very good night at station W2LJ !!! I worked BOTH Foxes in the last 80 Meter QRP Foxhunt for the 2007-2008 Winter season. Tom KV2X who is in NY State and should have been the easier of the two Foxes was actually very difficult to hear because of QRM from a Straight Key Century Club station calling "CQ SKS" on the frequency. What was especially maddening about that was that I was listening to Tom for 10 to 15 minutes when this idiot starts calling CQ on the frequency, out of the blue, without so much as the decency of a "QRL?" And to make matter worse, was that the offending station was also from NY State. No way he could have not heard Tom on the frequency before he started sending in the blind. After I bagged Tom, I worked Jim NØUR in Minnesota without any trouble whatsoever. I think this was my only "twofer" night of the whole entire season! Then, the local QRN on 40 Meters disappeared long enough for me to work the 5T5DC Dxpedition to Mauritania. I managed to bust the pileup with 5 Watts to the G5RV! Fantastic ears that those German ops have! DXCC Entity #82 via QRP CW is now in the books! you enjoy a most blessed and glorious Easter Season! 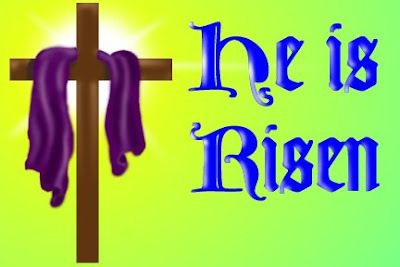 He is not here, He has risen! Alleluia!" I went on over to the TX5C Website the other day, just for kicks to look it over again. My TX5C baseball shirt came through the mail from Cafe Press (I'm wearing it now). I noticed a cool thing about the online log. If you put your cursor over the band spot you worked; it shows you which op put you in the log. I had the honor to be worked by Ann Santos WA1S, whose picture appears here. I went and looked up her bio on QRZ, and this YL should definitely be in the "Who's Who" of Amateur Radio ops, if there were such a thing! We were both licensed about the same time. I was licensed in 1978 and she was licensed in 1979. However, as an Amateur Radio op; Ann is light years ahead of me in experience and talent! Just from the DXpeditions she's been on, her passport book should be busting at the seams from Customs stamps. If she had one of those old valises like they had back in the 30s and 40s where folks would put stickers on from where they had been; then you probably wouldn't be able to see any of the leather of Ann's valise! There would be stickers everywhere. Her pile up handling skills were top notch, par excellent! And she obviously has a great set of ears to be able to have pulled my 5 Watts out of the aether amidst the chaos of a bajillion stations screaming at her. Thanks a million for the contact, Ann! I was taught that when you recite the "Pledge of Allegiance" or sing (or listen to) the "Star Spangled Banner" that you stand and place your right hand over your heart - a sign of respect. And this man wants to be President of the United States? As I've stated before, I like to play around with various logging programs. For me, this seems to be the Holy Grail of Ham Radio - finding a logging program that does everything I want it to do. But that goal is like the "Impossible Dream" of Don Quixote. It just doesn't seem to be attainable. AC Log - One of the most popular ones out there, evidenced by the number of reviews on eHam and the number of rave comments on just about every radio e-mail reflector that I subscribe to. It is very flexible, as a good built in Telnet program, and is very intuitive and easy to use. It has one big glaring problem for me (and it's probably me and not the software). When I enter a call sign and navigate the data entry fields, I get this kind of long "hesitation" when I tab over to the State field. It seem like I have to wait 10 -15 seconds for the program to gather that information from my QRZ CD ROM before it will let me proceed to the Comments field. This is the one thing that makes this software very annoying for me to use. AA Log - Very nice program! I like the way it interfaces and interacts with the DX Atlas and Band Master programs. It is very professional looking and is pretty easy to use. I like how it uses an Excel kind of appearance and how the log entry lines will change color depending on QSL status. The biggest drawback for me is its flexibility in doing searches. You can hunt for QSOs by mode, call sign, time date, etc. Howeber you CANNOT search for strings in the comment field. Let's say I put a note in the comment field containing someone's NAQCC or SKCC number. I cannot to a search on NAQCC and have all my NAQCC QSOs spit out. Also, there's no provision in the data entry fields for power output; and to me, a QRPer, that is critical. EasyLog - I downloaded and played around with the trial version of this program. It seems to have everything built in including the kitchen sink. It looks fabulous, and will (among other things) allow you to open and keep tabs on 5 different logs at the same time. It has multi Telnet and Packet Cluster interfaces; and it also has a neat grayline map feature. And if you ask it nicely, it will walk your dog for you while you play radio! (Kidding!) Drawback? It's about 95 bucks or so and you have to "subscribe" to get future updates. For 100 bucks you should get lifetime updates for free! So as always, this brings me back to using Win-EQF. Aesthetically, I'm annoyed by the Unix look to the software. If Tom could get this program to look more modern and Excel like, I'd be an even happier camper. But, it allows me to do all the things I want to. It has plenty of memo space for each QSO for comments. Searching among the fields for whatever is the easiest and most flexible that I have encountered. I can search for example, for QSOs that I have had with anyone who has an SKCC, NAQCC, ARCI membership number or any other criteria I set forth. It's a super snap to pop out ADIF formats for LOTW or eQSL. When I enter a callsign, the name and address of the Ham I am working pops up almost instantaneously from the QRZ CD that I have in the CD ROM drive. I guess I've been using Lof-EQF and now Win-EQF for so long that I take them for granted. It's been 16 years since I first started using it. I should just stay with what has worked for me over the years and not get my head turned by a more "prettier" face. Maybe the simpler, "plainer" look is what keeps this program uncomplicated and working like greased lightning. The link to this photo was posted on the Straight Key Century Club e-mail reflector today. I gotta admit, for years as a kid, I studied the Baltimore Catechism at Saint Mary's School. Never once did they mention that single side band was a sin! 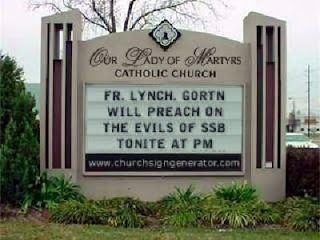 But I guess Father Lynch either knows something that I don't; or he's one very dedicated CW op! I guess it must be my Catholic instincts then, that keep my fingers on the Vibroplex bug and off the microphone (don't even own one at this point!). A bit of good news from Bob W3BBO in an e-mail tonight. He was checking out the TX5C Website as he worked them on 20 Meters yesterday afternoon; and he saw that my callsign finally made it into the online log. I have to admit, I was sweating this one out. I worked them on Monday and didn't see my callsign posted as late as this morning. Then on one of the e-mail reflectors, I read about someone who claims there are "pirates" out there who are using the TX5C callsign. I figured that's more in line with my luck! But no, in the end, it turns out that my QRP signal was indeed pulled out of the aether by the spectacular group of ops out on the atoll. But a word of warning ..... you only have (literally) hours left to work them! The DXpedition was supposed to QRT on Monday; but due to weather and surf condition concerns, they are going to pull the big plug at dawn on Saturday (Clipperton local time). Go get 'em & good luck! Last night (Tuesday) I was one of the two "Foxes" in the 80 Meter QRP Foxhunt. I used to volunteer for the 40 Meter hunts; but the local QRN is so unpredictable that I can't take the chance that it would ruin my turn as Fox. Since 80 Meters stays pretty quiet for me; I volunteer for Fox on that band, instead. Last night was fun. Despite really deep QSB, I managed to work over 50 "hounds" in just about 90 minutes. I know by major contester standards, that's pretty poor. For little ol' me, that was pretty good. It was a lot of fun; and I hope to volunteer again next winter season. Bob W3BBO has had some trouble the past couple of days with his computer "giving up the ghost" on him. Alas, these days we wonder how we ever got along without these magical boxes we call personal computers. As Hams, they make life so easier for us, what with logging programs; propagation programs, antenna designing programs, etc. Before I digress too badly, the point is that Bob went out and bought a new PC. However, it came with Windows Vista as the operating system. The only thing I know about Vista is I don't care for it all that much. A local friend bought a new computer last autumn and was having some troubles with it. He asked me to come over for a look see. I figured out his dilemma and cured it for him; but the PC had Vista on it; and there's just something about it that I'm not crazy about. A few years ago, when I bought this outdated desktop that I use to write this blog, it came with Windows XP. I fell in love with XP first time I tried it. I thought that Microsoft had finally perfected the Windows OS. I use XP here, I use XP at work. I am totally at home with it. It really bothers me that when it comes time to replace this machine (which will be sooner rather than later) I will have no choice but to have to deal with Vista. Microsoft had a great thing going; and should have left it alone. I hear horror stories of applications that just won't run on Vista and it unnerves me. Why can't you get a choice of which Windows platform you want? And please, I'm not smart enough, or curious enough, or computer savvy enough to run Linux. Unbuntu, shmunbuntu, penguins, whatever ...... it's all Greek to me. Oh well, it's after 11:00 PM. Time to go down the basement and see if the 20 over 9 QRN on 40 has gone away for the night. If it has, I guess I'll go hunting for TX5C again. 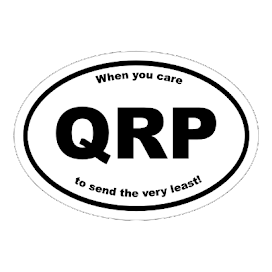 If the QRN is still there, then I guess it's time for bed. 40 Meters was unusually quiet for me tonight. No neighborhood QRN and the background noise was a blissful S1. The electronic 20 over 9 hash was nowhere to be found. I took the opportunity and ran with it; having a couple "chatty" ragchew QSLs and just overall enjoying the band on a rare noise free night. Around 11:00 PM local time; or 0300 UTC (for those of you so inclined) I decided to take one more trip to the basement shack. This time I wanted to concentrate on the lower part of the band to hear what DX might be around. TX5C was on 7.007.36 MHz, listening up about 3 KHz. They were working calls in an efficient, no-nonsense manner; and the folks in the pile-up actually seemed to be behaving themselves. There were a few misguided folks calling on the listening frequency which brought the instantaneous wrath of the pile-up police who immediately started sending "UP UP". Fortunately, the offenders knew enough to know what that meant and order was quickly restored. And I got lucky ..... I think. I probably won't know for sure until the logs are updated sometime tomorrow; but the ops on the atoll did come back to me. And after sending my report, I did get a "TU"; so unless my call got screwed up immensely, I should be in the log. I have worked Clipperton before, namely just about 8 years ago during the FOØAAA DXpedition of 2000. But that time, I had worked them with 100 Watts (QRO) and if THAT wasn't bad enough ..... last time I worked them (gasp!) on SSB! This time was cooler because not only was it QRP; but it was also CW (THE preferred mode!). And it would be entity #81 on my quest for DXCC QRP CW. So I will be checking the logs over the next dew days; and if I don't see my QSO come up, then I will have to give it another shot. The DXpedition was rather loud on 40 Meters; so if I need to, I can try again to my heart's content until March 17th (when they pack up and go home). I see the DXpedition is offering some neat stuff through Cafe Press. If I did end up working them successfully, I think I might treat myself to a Clipperton Atoll DXpedition baseball shirt. The weather from Friday afternoon until now has been wild and woolly. Our Ohio Valley and Great Lake region friends have had to contend with snowfalls of up to 2 feet. Here in NJ, we've had to deal with torrential rains, flooding and windy conditions of up to 60 MPH hour gusts. A mere 400 miles made all the difference in the world. On Saturday, while Bob W3BBO was running his snowblower for the umpteenth time, tropical air descended upon New Jersey. Even though we were already soaked, it felt like a sauna if you stepped outside in the afternoon (after a pretty chilly morning!) with temperatures that hovered around 65 Degrees. I knew something was strange when I noticed all the windows in the house were actually fogged up! Then, "the other shoe dropped" with nightfall last night. The winds changed up direction and regained speed again. The temperature started to drop like a stone - and the power went out. For 2 and 1/2 hours we were without power; and all that you could do was listen to the wind and rain batter the house. At times, it sounded like a freight train was going by on the street outside. You could listen to and hear the house creak and groan. I contemplated (for a few moments) going down the basement and putting the K2 on the 12V battery to see what I could hear. With the neighborhood in blackness, I definitely would not have had to deal with my local QRN on 40 Meters. I was just about to do it, when the darkness was ripped asunder by a few flashes of lightning. In this case, discretion was definitely the better course; and the rigs remained off the air and disconnected from the antennas. My two children were tucked in for the night and were sound asleep. I had a few candles going to provide some illumination; so I plopped down in an easychair and turned on my Palm Tungsten E. It was a great time to catch up on a few podcasts; so I listened to a few episodes of "Solder Smoke" and "Long Delayed Echoes". Ham Radio had triumphed once again, even with no power and lightning in the area to keep me off the air. 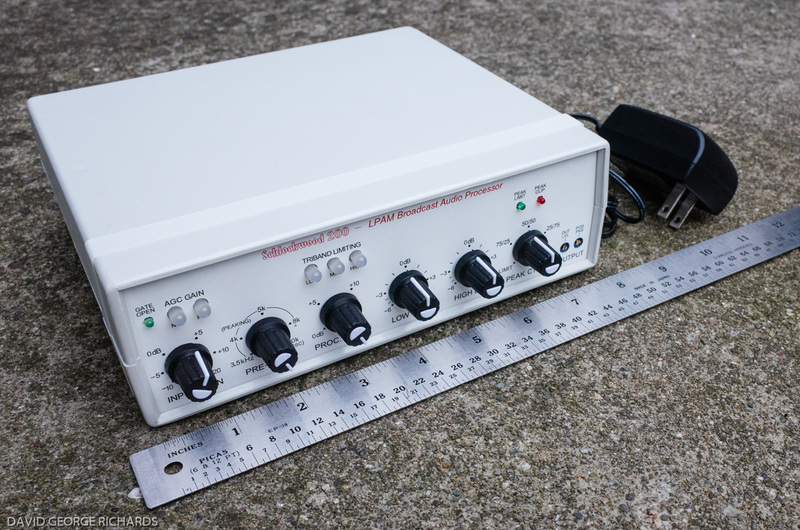 If you are "into" QRP and you hang around the QRP watering holes; or participate in any of the more popular recurring Sprints, then undoubtedly you've worked or know Steve Galchutt, NØTU. Besides being an active QRPer, Steve is also an avid outdoorsman. 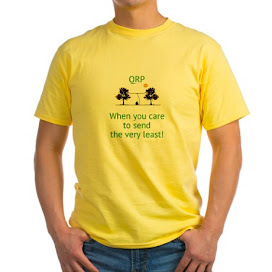 He takes his QRP gear with him out on hikes; and he is usually accompanied by his two goats, Rooster and Peanut. He was out in the hills of Colorado the other day, operating portable from the top of a place he calls Lone Pine Ridge (or something like that! ), when he happened to work Bob W3BBO. Bob was using his new 20 Meter SST radio, and Steve was so impressed with Bob's signal that he recorded it and put it on YouTube. This video is way cool! Steve does a great job with all his videos and I recommend them highly. 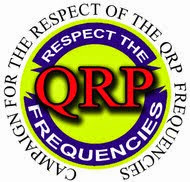 You can tell how enthusiastic he is about QRP from his posts. And what's even "cooler" is that he's not only enthused by his own success; but he also gets a kick out of the success of others. Not much on the bands today. I got on 20 Meters this afternoon and worked HC2IL, Al down in Ecuador, which was a good catch. He was pretty strong into New Jersey and he gave me a 579 report. Not to shabby for 5 Watts! 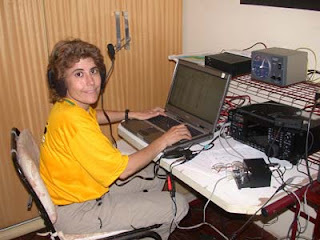 Then I worked a German station who was portable in the Dominican Republic. I don't know what contest he was in; but he kept asking for my number. I kept giving him his RST back and the number "5" (I figured for 5 Watts). Something didn't seem to click - he sent a "TU" and started calling CQ again. Other that that, I had a small ragchew with a "9" land station on 40 Meters; and that, as they say, was pretty much it. This weekend was the ARRL DX SSB contest, so I guess most of the on air stations were participating in that. I listened for a little bit; but as I do not have an SSB module in the K2 to allow for SSB transmissions, it seemed pointless to spend too much time listening. After talking with Bob W3BBO yesterday on Echolink, I think I've pretty much determined which way I'm going to go this spring "new" wire antenna wise. It's not going to be too much of a change over the G5RV; but it will be different and it will be new materials. I'm pretty sure it's going to be a slight variation of a 135' Doublet All Band Antenna. I'm pretty sure I can squeeze the 135 feet of wire in my back yard with some zigs and zags. The tricky point, though, is that I am going to have to feed it off center because of where my Maple tree is situated. I'll run the wire as long as I can in each direction to make up the 135 feet. I'll run either 300 Ohm twinlead or 450 Ohm window line down to ground level where I will terminate it to a 4:1 balun. From there I will use the same coax I have been using. That's still in excellent shape; and I really can't afford to replace it anyway. Hopefully, that will do me for the next decade or so - that's about how long my G5RV has been up. I guess maybe it's a good idea to stick up new wire every ten years or so to take into account the wear and tear from UV radiation, harsh NE winters and Nor'Easter winds that we can get any time of year. Once that's up I also have a plan brewing in my mind on how I want to re-do the radial on my Butternut. Although I don't use the HF9V as much as I should, it's always been a good antenna that's helped me catch DX when I really needed to get through. This is a short WWII newsreel showing how the Navy taught Morse Code - interesting to see that right of the bat, the Code interceptors were taught to use a mill. Non-english; but no speaking other than dits and dahs, either. I guess this was a movie made in China after WWII to show how the brave, heroic Chinese underground worked to help defeat the Japanese. Eleanor Powell - Tap Dancing Morse Code. This one is really neat. Eleanor Powell plays a spy, I guess, who is also a dancer at a supper club. She sees she is being pursued, so she "taps" out a vital message to an ally in the audience - using tap dance! Hokey and corny - but fun. Another news reel type, this time regarding the training of Army Morse Code interceptors. Needless to say, it helps to have a broadband connection. I viewed these during my lunchbreak at work. Trying to do this from my dial-up connection here at home would have made them less enjoyable.